Roof repairs can cost hundreds or even thousands of dollars. Getting a new roof can cost $10,000 or many tens of thousands of dollars. Yet you cannot ignore roof repairs or the need for a new roof, or you’ll end up compounding your costs with home repairs. You even compromise the safety of your family. As your roof ages, it will begin to show small holes and cracks in the shingle and underlayment. These holes and cracks aren’t a big problem on their own, but they can widen over time and allow bigger damage to occur. Even the smaller holes and cracks can let in water that can damage your home and can reduce the energy efficiency of your home. When a roofer performs an inspection of your roof, he will discover these small holes and cracks and will either fill them or repair them. This will strengthen your roof and save you money on future repairs and higher energy bills. Your roofer will discover and repair this degradation during a routine inspection. You can save yourself a lot of money and hassle on bigger problems down the line by finding these problems early and fixing them. You may think that if your roof has a leak, it will be obvious. However, the truth is that most leaks don’t make themselves known until they have become a big problem. Small leaks will drip under your other roofing material, slowing breaking down your underlayment and decking. Small leaks will flow through the attic, creating mold and rotting through your beams. All of this could happen before you ever get that dreaded ring on the ceiling that lets you know you have a leak. When you hire a roofer to perform a regular inspection, you can discover these small leaks before they do too much damage to your roof or your home. Your roofer will perform a smaller repair, which will cost less money, and you won’t have to perform as many repairs to your home, which will save you much more. Roof inspections are among the most important home maintenance tasks you can complete. You may feel like you can skip the inspections because your roof is out of sight and mostly out of mind – until it isn’t. Don’t wait until you have a problem with your roof to realize how important those preventive inspections are. Commit to getting a roof inspection at least once a year, and partner with a reputable roofing company to monitor your roof and keep it healthy. 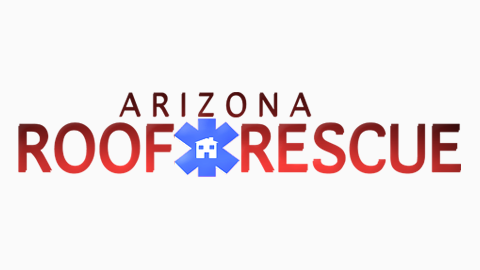 Arizona Roof Rescue is an accredited roofing company with many five-star reviews thanks to our excellent workmanship and customer service. We perform both residential and commercial roof repair, and we provide roof maintenance and inspections. Our roofers are licensed, bonded, and insured, and we never use sub-contractors. You can check out our credentials, as well as what our customers have to say about us, and you can feel assured that you are hiring quality roofers. Call us today to learn more about our services or to schedule your consultation.